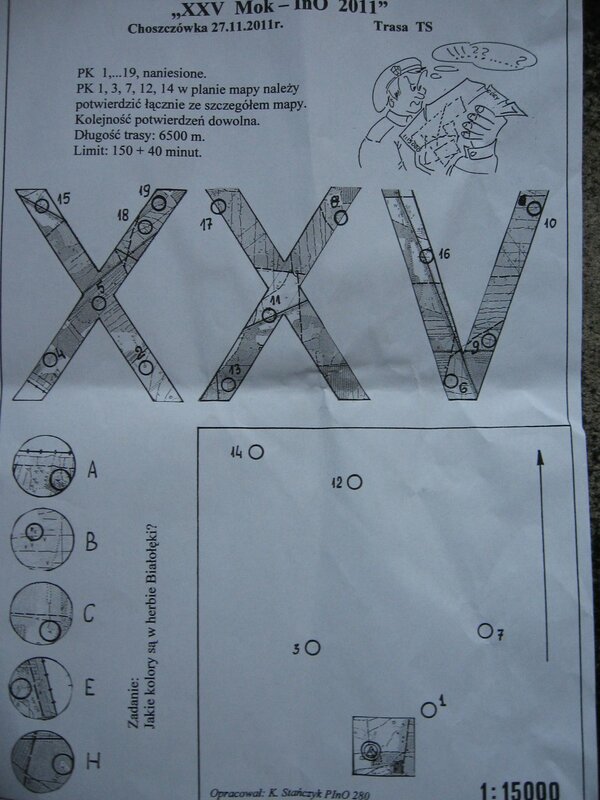 I'm engaged in orienteering marches, which differ from sport orienteering: there is the time limit, where finishing before time gives no advantage to the participant, and the center is put on the decoding of the map. The map itself is highly transformed - this involves fragmenting, stretching, mirroring, deforming etc. I've tried to find some information about such orienteering marches in Germany, but found only information about sport orientation and rogaining (which is for the moment, too extremal for me). So I ask, do you know, if such competitions do find place in Germany, and if so, where to find informations about them? What you mean is called "Orientierungslauf" or in short "OL" in Germany. There are some events, but it is best you get in touch with some organizers over there perhaps using this list of upcoming orienteering marches. In my experience the events of this kind which are not highly popular are mostly not (yet) present on the internet. It's "popular" around southern Germany, but popular is very relative. Orienteering in Switzerland is comparatively popular and widely known - and also called "OL/Orientierungslauf" (incidentally, Switzerland is also rather good at this in competitions). I don't know how prevalent this is, but in my childhood orienteering was one of the subjects taught in physical education/sports during primary and secondary school - i.e. all of us kids got to team up in groups, each group got a map and they sent us into a nearby (small) forest. Not the answer you're looking for? Browse other questions tagged navigation maps europe germany orienteering or ask your own question.